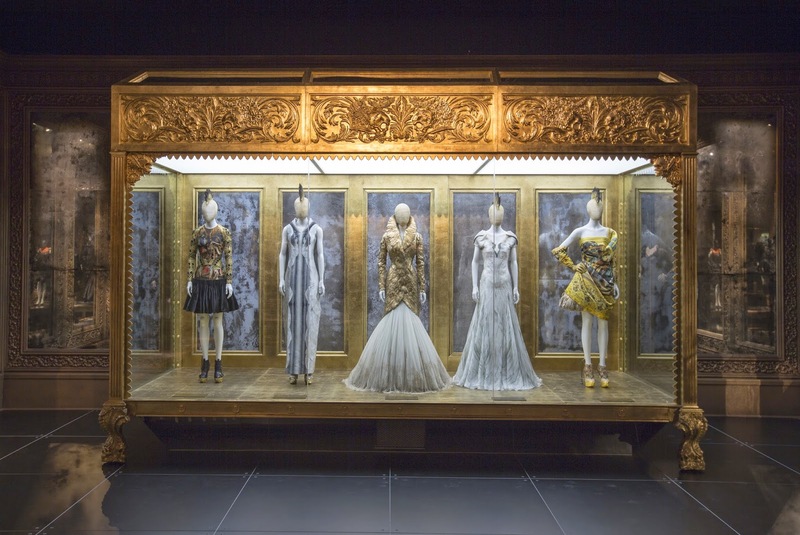 We descended on the V&A after hours, where it was must quieter than your average viewing. Feeling like I was in a scene from Night At The Museum, I half expected the statues to come alive. The V&A is just remarkable. Housing collections of architecture, to art deco pieces, right through to fashion and dance. It's a real eclectic collection, that makes it so wonderful and unique. 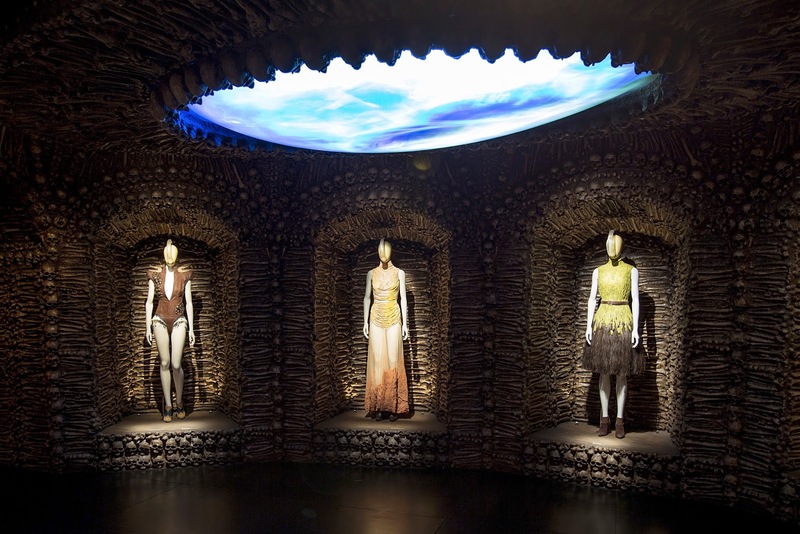 Tonight however, there was only one collection we were here to see and that was Savage Beauty. 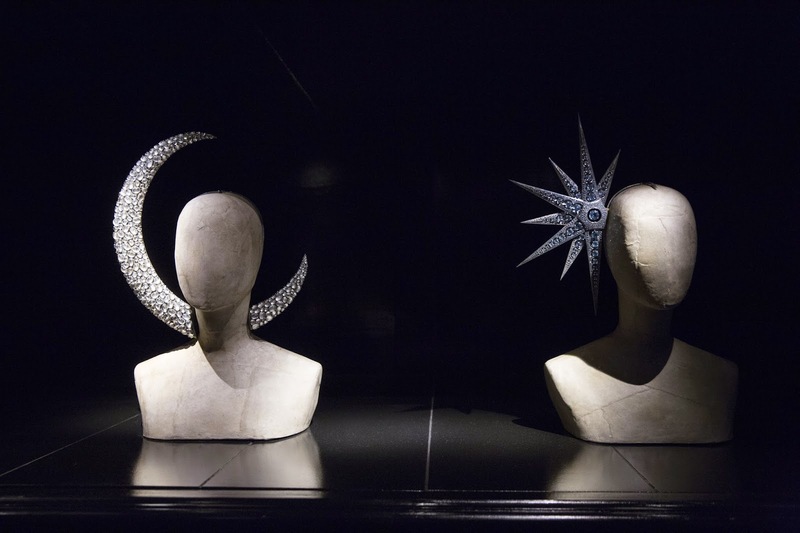 Celebrities, and fashionista's had turned up to see a private after hours viewing of the exhibition, along with a brief history of how the jewelry, which is such a key part of Alexander McQueen's work, was made and designed. 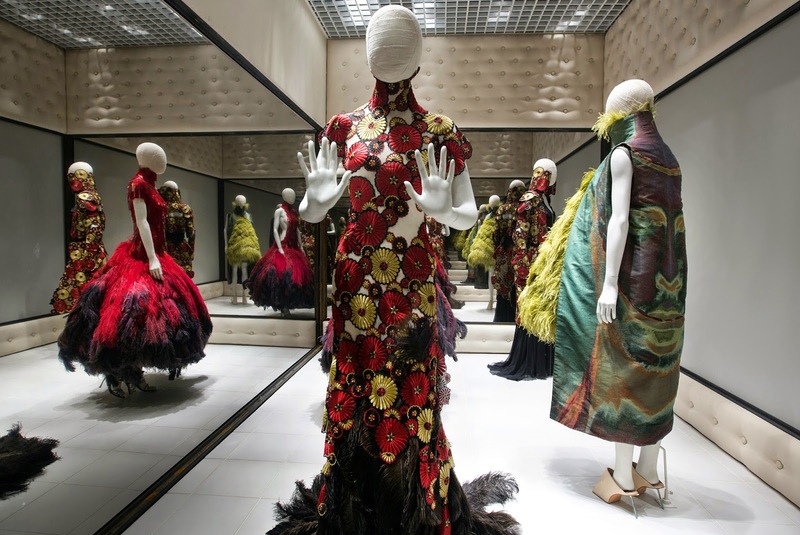 We were lucky enough to have Shaun Leanne, Alexander McQueen's friend and collaborator talk to us himself about this. I met with Jamie and Leroy who just stole the show with their outfits. Those blazer's were gorgeous. 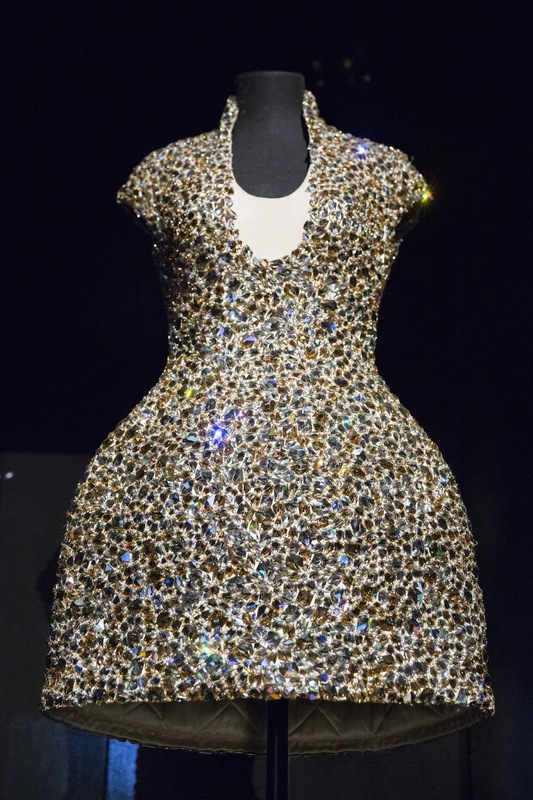 Nothing less for Alexander McQueen. This proved to be the dress code for the night. Dress to impress, with Jasmin Le Bon going for a serious full length dress, which was just stunning. Rather put my outfit to shame. Sorry Lee! The canapes flowed as did the drinks. The ground floor filled, with the likes of Graham Norton, Jodie Kidd and Millie Mackintosh attending. After mingling, Samsung's president and sponsor of the exhibition gave an opening speech into the importance of keeping Lee's spirit alive, and showing new audiences the unimaginable beauty his creations were, and still are. Following this, was Shaun Leanne. Shaun is a master jeweler. He trained as a goldsmith, specializing in tiaras. 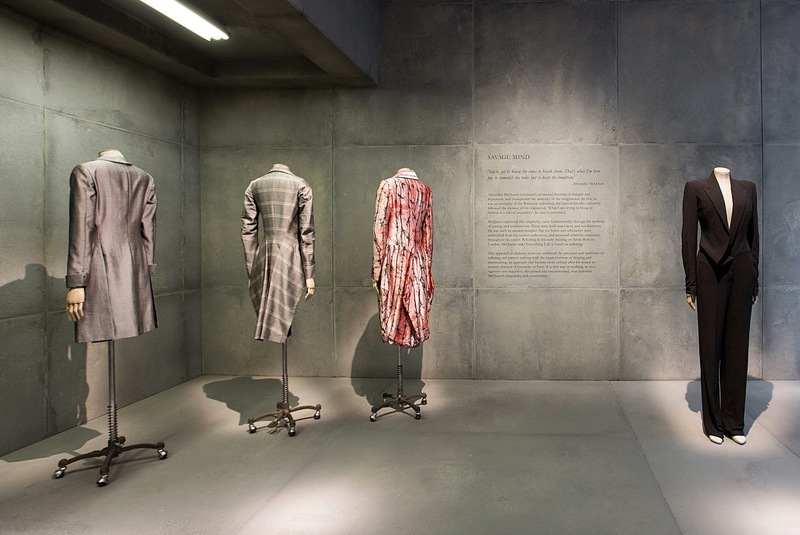 His childhood friend Lee McQueen was jut starting out as a fashion designer, and asked Shaun to design some catwalk pieces. Not accustomed to this kind of work, Shaun slowly created some pieces. First sticking to his roots, however as Lee grew, and his creativity blossomed, so did Shaun's, and together to created iconic pieces out of every material imaginable. The spine corset, the star head piece, the birds nest head dress. Oh I wish you could hear and see what I heard and saw. If there was ever master craftsmanship, this was it. 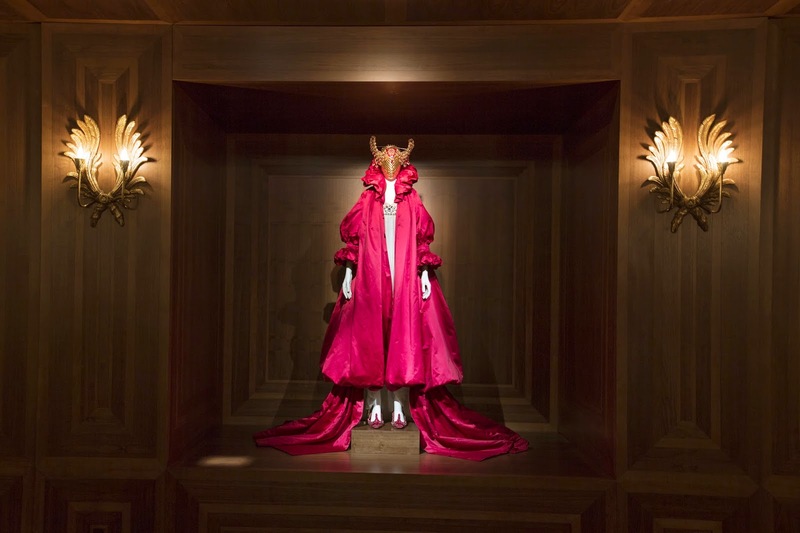 I won't pretend, I don't know a lot about Alexander McQueen. I'm not a fashion blogger, I've never studied fashion, or attended a LFW show. I can't name his collections. 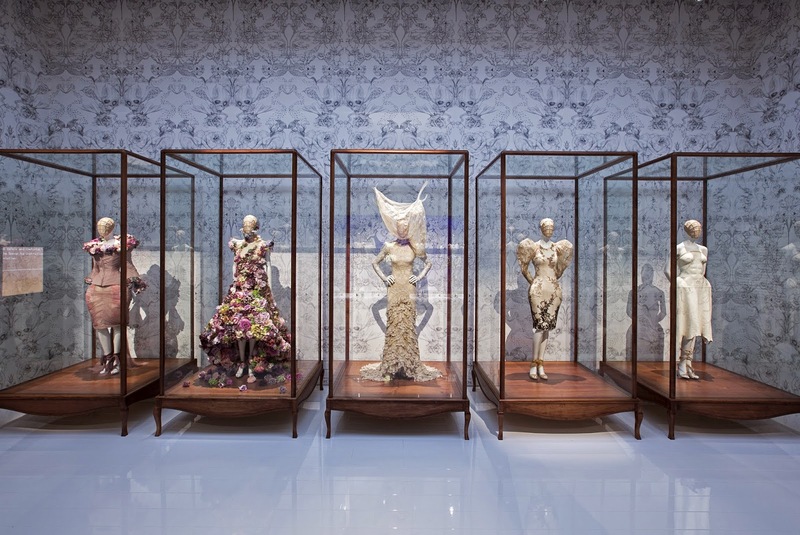 However I truly believe with Savage Beauty, you don't have to be a great expert in fashion, and don't let anyone tell you otherwise. It's about art, craftsmanship, and above all, amazing beauty. There is such a visible talent here that I was blown away. Again, I don't claim to know much about fashion, but certain pieces I see on the catwalks today, I just look at and go eh? Most recently I'm looking at you Kanye/ Adidas. This though. I just have never seen anything like it. It's not just fabric, but metal, gems, leather. Not just sewn but constructed. It's just just a black dress, but a piece of genuine creative art. Art in fashion. Now I'm afraid they are very strict on their no photo policy in the exhibition. Every time I raised my camera or even phone, someone pounced. However I contacted the V&A and I've got some photographs they have supplied to show you, so all credit to the V&A for these images. I wanted to try and show you the amazing designs he created. 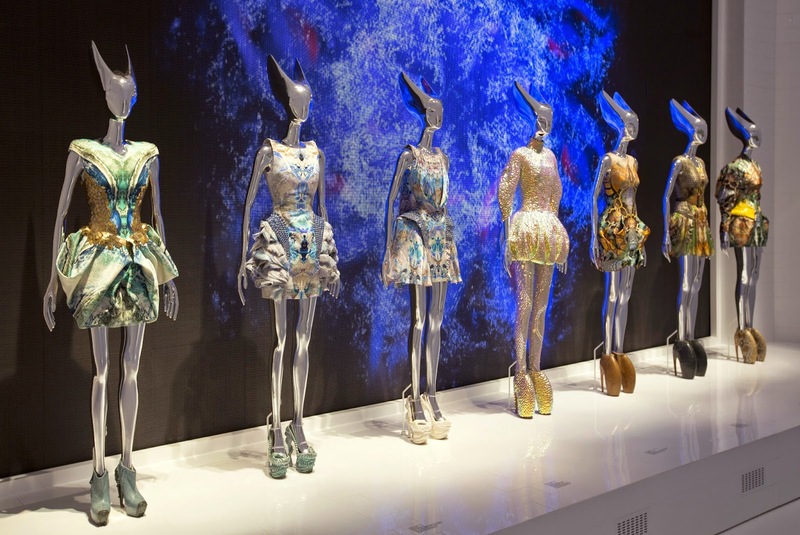 Whether you think some of them are creepy, odd or weird, you have to admit their is beauty in there design, and that's what I believe Savage Beauty means. There is beauty in everything, even in the atypical. I hope you agree that is designs are just incredible. Yes, some are not your average 'beauty' but then we shouldn't be expected to only ever create to meet someones industry defined beauty and acceptance. 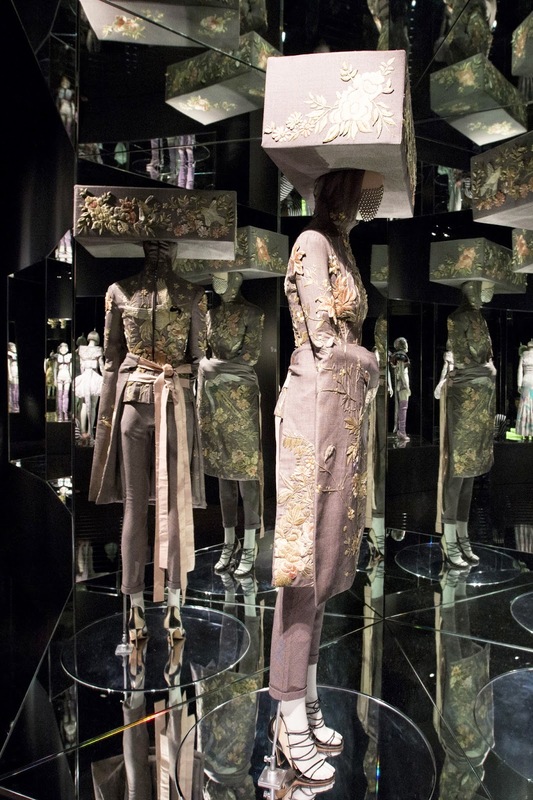 If I took one thing away from his collections, and yes, it really is a thought provoking exhibition, is that at first you may be going against convention, like Lee did, yet look what he achieved, and so isn't it possible, so could you? 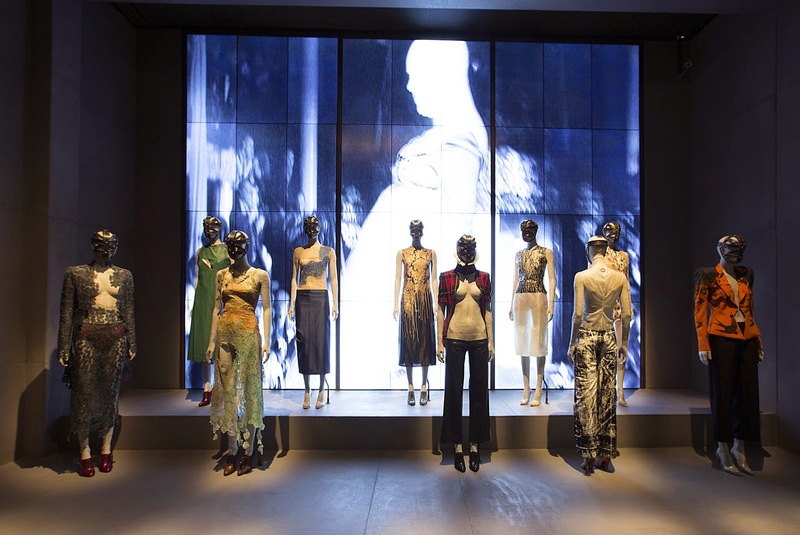 What a gorgeous and dramatic exhibition! I'm not going to lie but I am so incredibly jealous that you had the opportunity to see this exhibition. 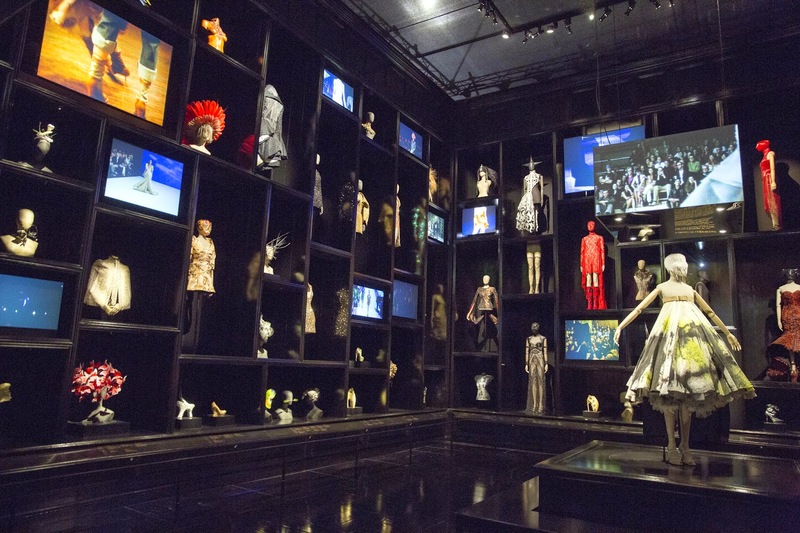 I am obsessed with McQueen and his muse Isabella Blow. I think I would have cried if I had gone! This looks fabulous, I have tickets for July and can't wait! I can't wait to go to this. I have to admit I've never owned any of his pieces, but they are all beautiful and I always searched his catwalks when a new collection was launched. He put on such a fabulous show!